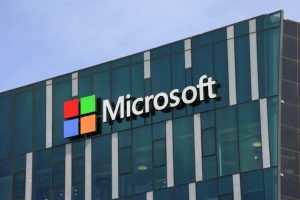 Kaspersky Lab has revealed that it will withdraw the antitrust complaints against Microsoft that it made in Europe following an agreement with the Redmond, Washington-based software maker regarding how security updates are delivered to users of the Windows operating system. The two tech firms also resolved to end disputes that have been running for years. This includes Kaspersky’s allegations that Microsoft put up unfair obstacles on the Windows 10 OS meant to hamper independent security software vendors. “Kaspersky Lab is also taking all steps necessary to withdraw its filings to the European Commission and to Germany’s Federal Cartel Office, stating that it has no more claims for Microsoft to address,” said a Kaspersky spokesperson in a statement. Earlier in the year Kaspersky had alleged that the largest software maker in the world had abused its dominant position in the personal computer market with a view to harming 3rd party providers of antivirus software. This was with regards to how Microsoft’s Defender antivirus software was distributed on Windows 10 OS. At the height of their dispute the founder of Kaspersky Lab, Eugene Kaspersky, had alleged that the giant software maker had uninstalled the Kaspersky antivirus software product on customer’s devices when Windows 10 was installed. This was with a view to increasing the adoption of Defender, a Microsoft product. Kaspersky derided the Microsoft antivirus software as being inferior. Consequently Microsoft hit back saying that it had not broken any law arguing that its only goal was to ensure that users of Windows 10 operating system were protected from security threats. Going forward the Redmond, Washington-based software giant revealed that it will engage with antivirus vendors more closely prior to launching software updates in order to ensure that compatibility issues are resolved early on. Microsoft also revealed that it will let vendors of antivirus software issue their own notifications and alerts to their customers prior to and after the expiry of subscriptions. The software giant also added that it will offer the vendors more certainty and visibility with regards to the release schedules of its updates. The resolution of the long-running dispute between the two companies comes in the wake of Kaspersky coming under fire from lawmakers and intelligence officials in the United States who say the company is vulnerable to the influence of the Russian government. Kaspersky has, however, categorically denied these accusations saying it has never conducted cyber espionage on behalf of any government.